We're coming up on the end of January. Not only does that mean that times is flying by incredibly fast, but that Valentine's Day is fast approaching. Have you thought about what you're getting your significant other? I know that I haven't given the holiday much thought yet. But why procrastinate when you can do your online shopping at AccessoryGenie.com? We have a wide variety of electronic accessories and products that would definitely make your loved one smile on the holiest of days. So for the next couple of weeks, I'll be giving you Valentine's Day gift ideas for guys and gals! In a long distance relationship? An FM transmitter makes the perfect gift for your significant other, or even for you. The recently remodeled FlexSmart SP is a great buy, with the capability to mount, play audio from, and charge any smartphone. A redesigned flexible neck and fully adjustable mount makes this FM transmitter compatible with almost any car and smartphones. Multiple USB ports are available to comfortably charge your smartphone while you're on the go! It also works great with most MP3 players. 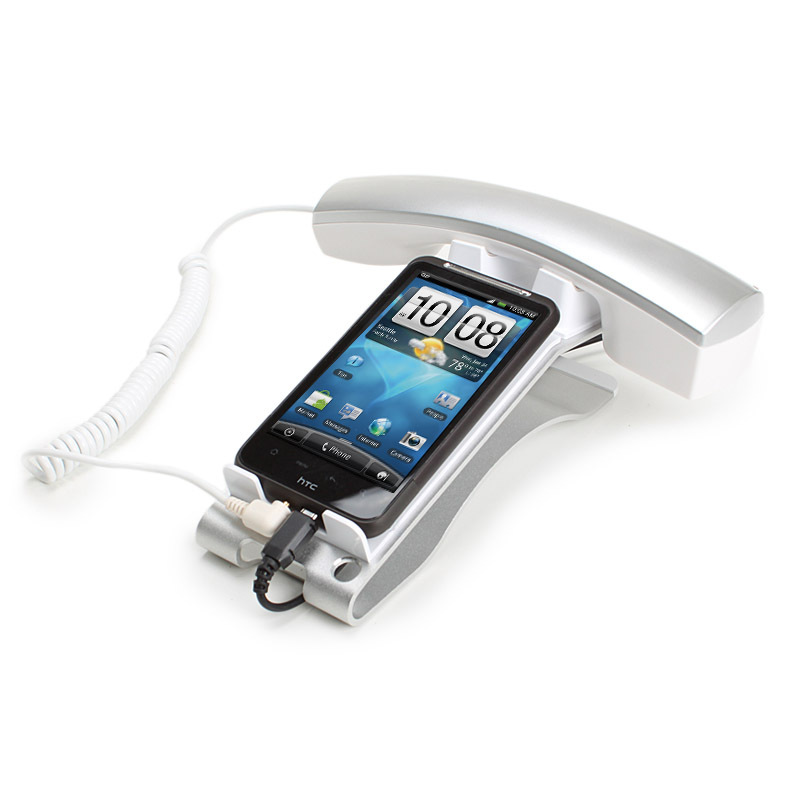 While we're on the topic of smartphones, the Retro Style Smartphone Handset and Charge Station is a great accessory for any smartphone owner. This handset is great for use at home or work, taking away the need to unplug your phone from its charger when making a call. Aside from its usefulness, this handset also looks great with its retro design. Best of all, the handset is compatible with most smartphones, connecting through the 3.5mm headphone port. Another great gift for a smartphone owner is the ReVIVE UPLINK series of smartphone Data Sync and Charging Docks, available for HTC Inspire, EVO 3D, DROID Incredible/Incredible 2, Sensation and Motorola Droid X and X2. Not only will these docks charge compatible phones, but they will also sync data when connected to your computer. These and other items at AccessoryGenie.com are sure to make the smartphone lover happy this Valentine's Day!